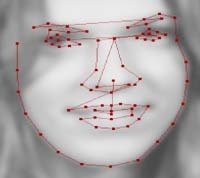 The MUCT database consists of 3755 faces with 76 manual landmarks. 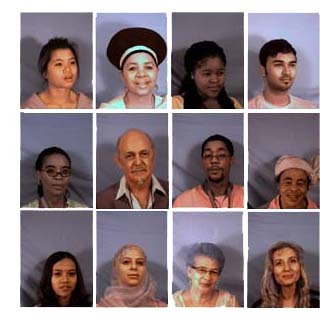 The database was created to provide more diversity of lighting, age, and ethnicity than currently available landmarked 2D face databases. Some examples are shown on the right (in low-resolution). A full resolution image may be found here. If GitHub gives you "file truncated" message, click on view the full file to download the file. If you need camera calibration images please contact me. The MUCT database was prepared by Stephen Milborrow, John Morkel, and Fred Nicolls in December 2008 at the University Of Cape Town. We would like to send out a thanks to the people who allowed their faces to be used.